A Release form is a legal document that is used by a person or party to help them to avoid situations that may land them in legal hassles. They get this form signed by another party in certain circumstances to ensure that the party grants them a particular consent and at the same time prevents the party from suing them on a later date. The form comprises of some important terms that both the parties should adhere to. 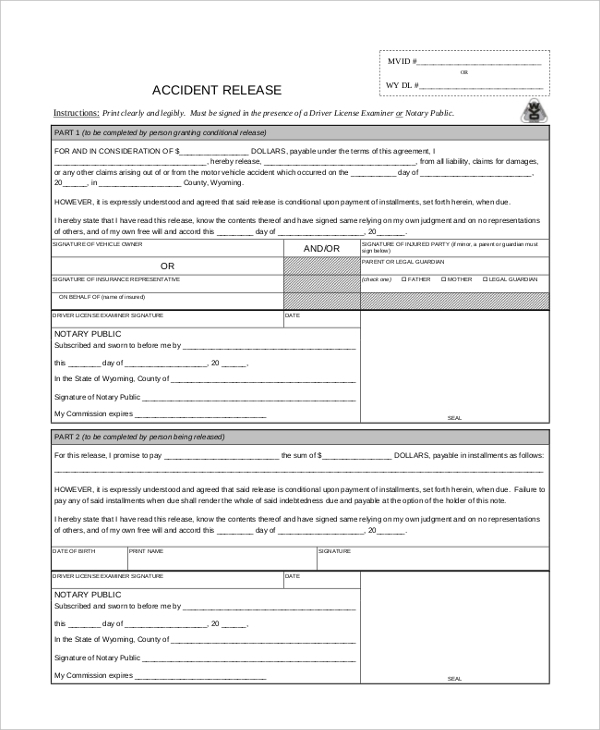 This form is used by a person who may have been responsible for an accident to ensure that the injured party releases him from all accusations. 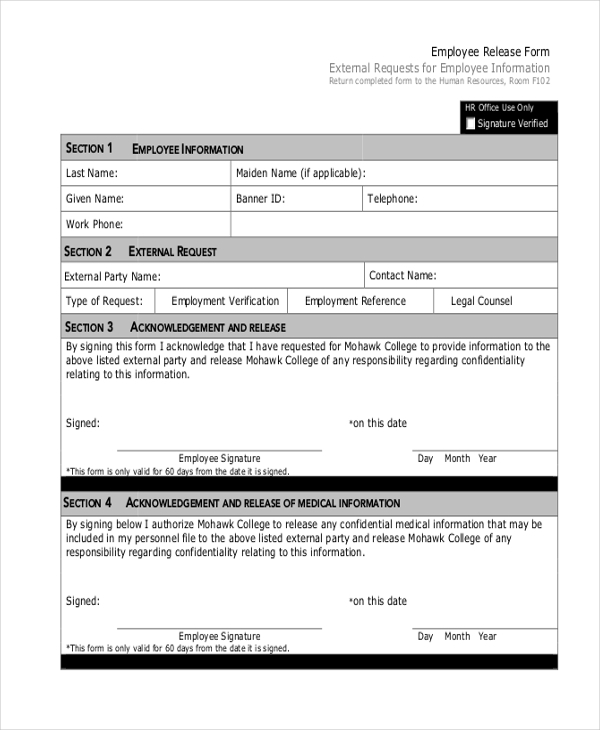 The injured person is required to sign on the dotted line. 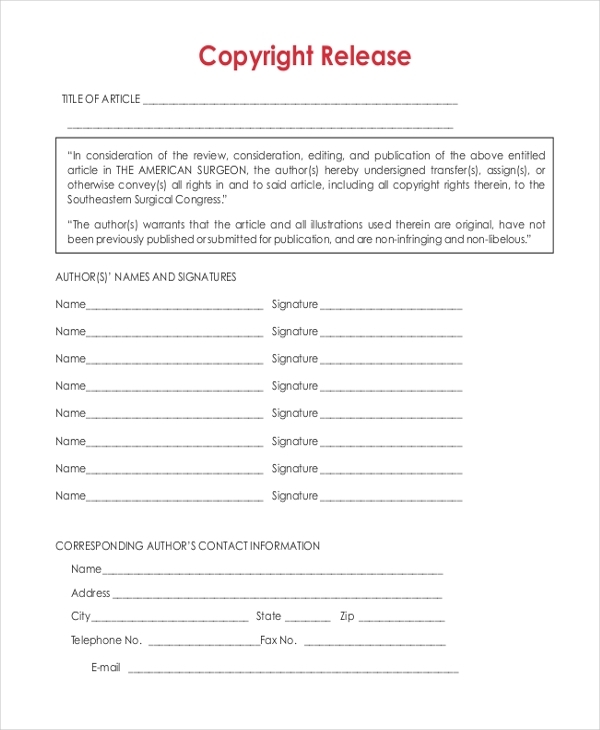 Whenever a person gets permission to use a copyrighted product or document in his project, he uses this form to ensure that the owner would not slap a lawsuit against him at a later date. 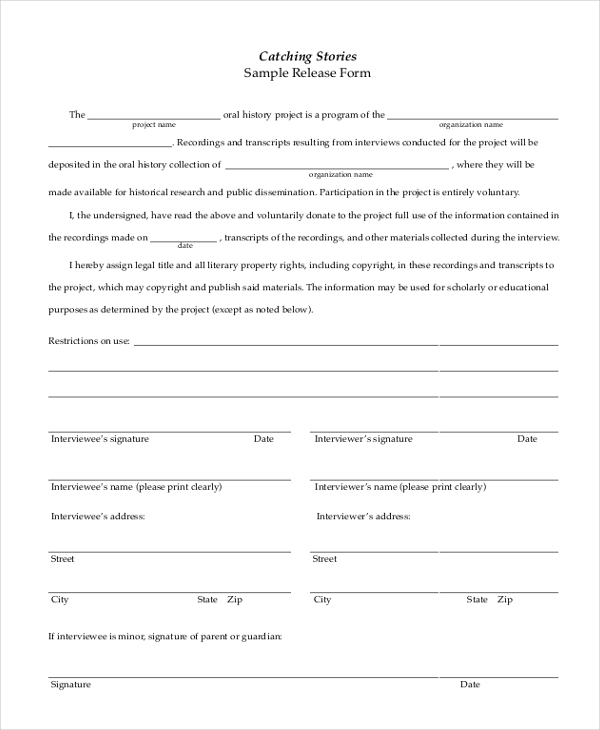 This form is used by a documentary filmmaker to secure legal permission from a person, who may have been featured in the documentary, to use his name and other details in the film. 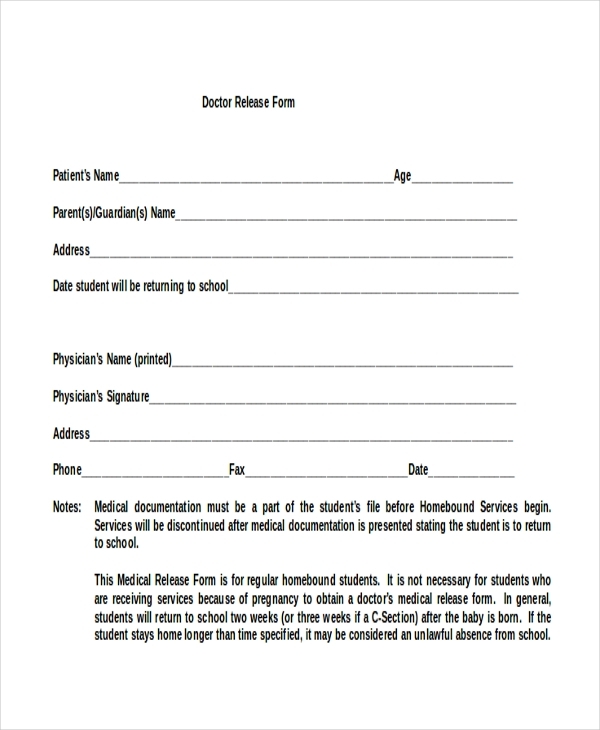 This form is used by a medical practitioner to release a student or employee from his/her responsibilities for a given period of time due to certain illness. 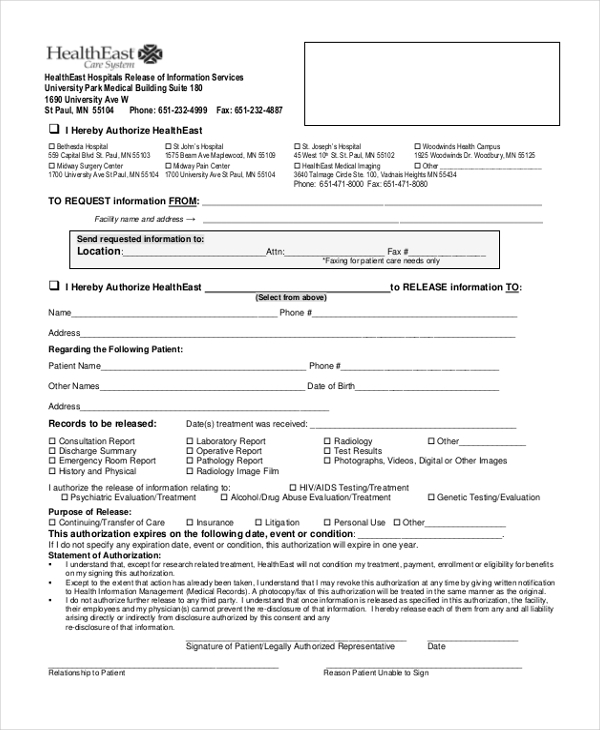 This form comes in handy to the patient to apply for leave or insurance coverage. The HR department of a company uses an employee release form to secure permission from an employee to release confidential information about him to an external source. 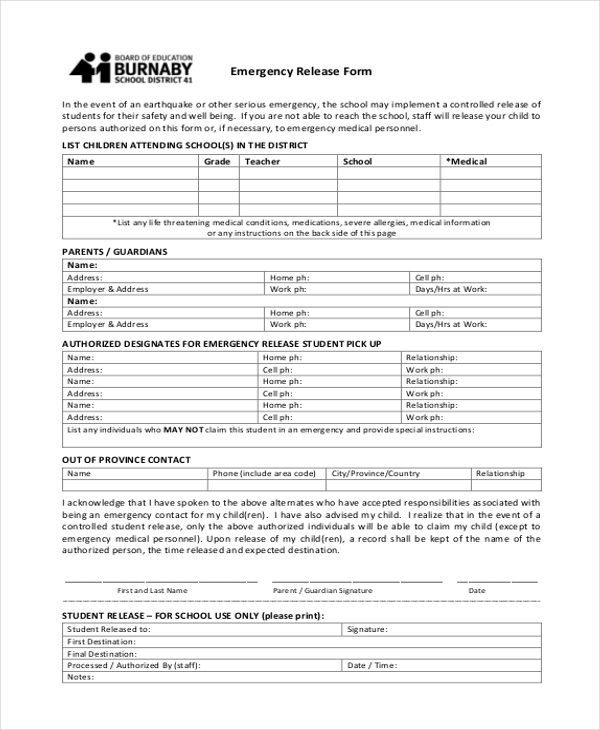 This form is mainly used by the school authorities to allow the parents to list down the directions for school in case of an emergency. This could include the name of guardians, a place where the child could be left etc. This is a standard release form that gives the users an idea of the format of the form. It comprises of all the important segments. However, the user can make changes to the form as per his requirements. 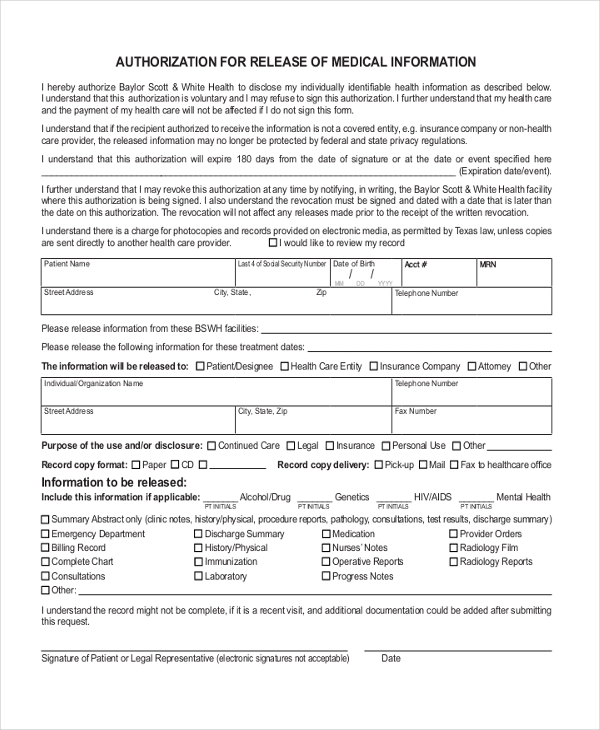 A hospital or medical facility makes use of this form to secure permission from a patient or his next of kin to release confidential information about him to other specialized doctors or health facilities. This form is generally used by event planners and managers to ensure that their clients do not sue them due to some unforeseen incident that may occur during the event. The form contains these terms which the party needs to read before signing. 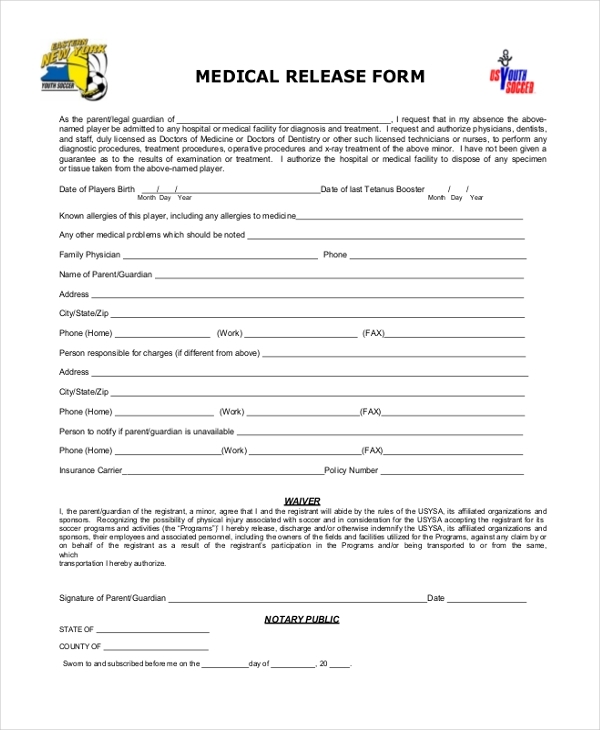 Sports teams and clubs use this form to secure permission from the parents or family members of their sportspersons, to take necessary steps in case of a medical emergency. 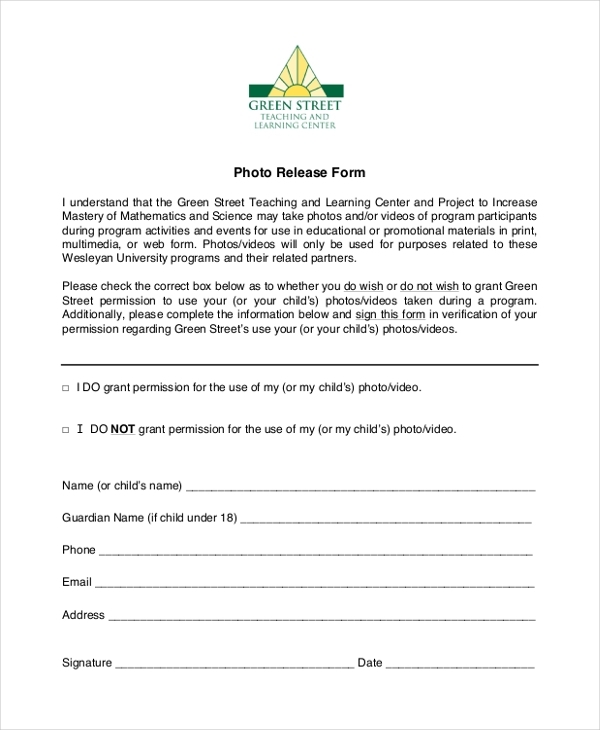 An organization that may use the photograph of a person for their brochure or any other program uses this form to secure legal permission from the person or his parents. By signing this form, the person confirms to the use of his photograph. This form is used by a person who may be planning to use the photograph of a property in his article or brochure. 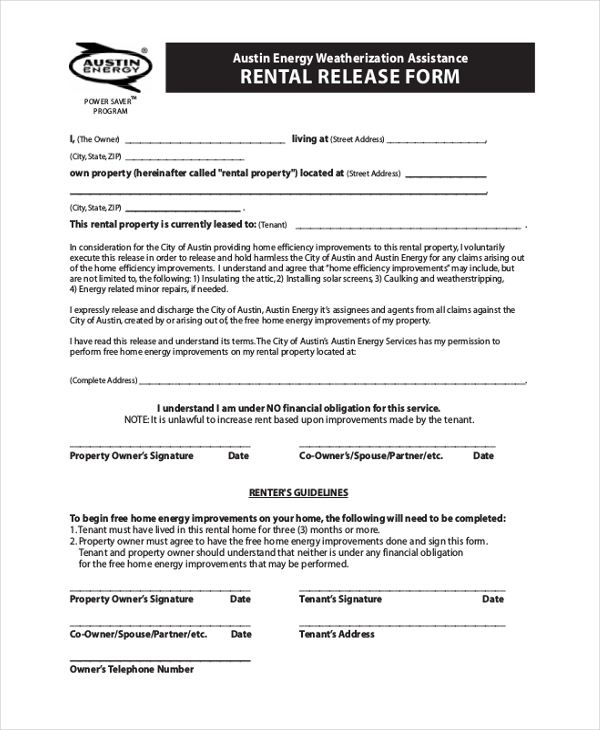 He gets this form signed by the property owner to secure permission for the use of the photos. 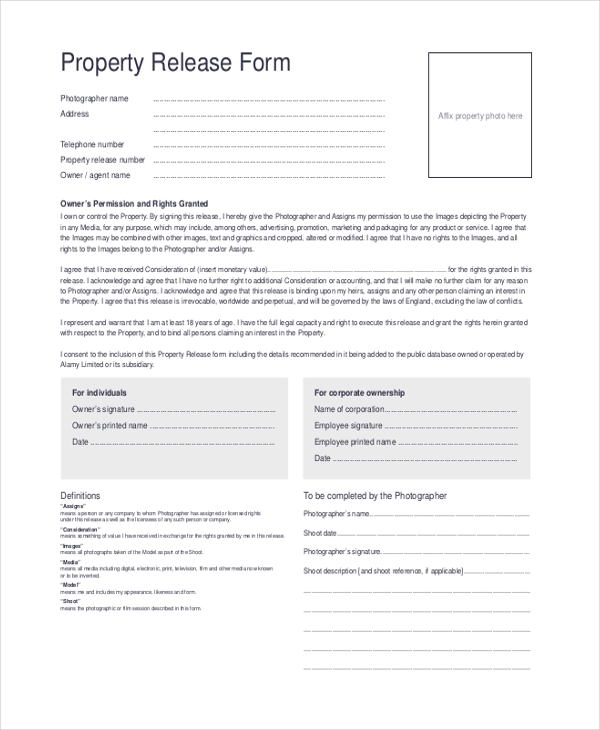 A local authority uses this form to gain permission from a property owner to carry out home improvements on his rental properties. The owner grants his consent and releases the authority of any legal hassles by signing this form. 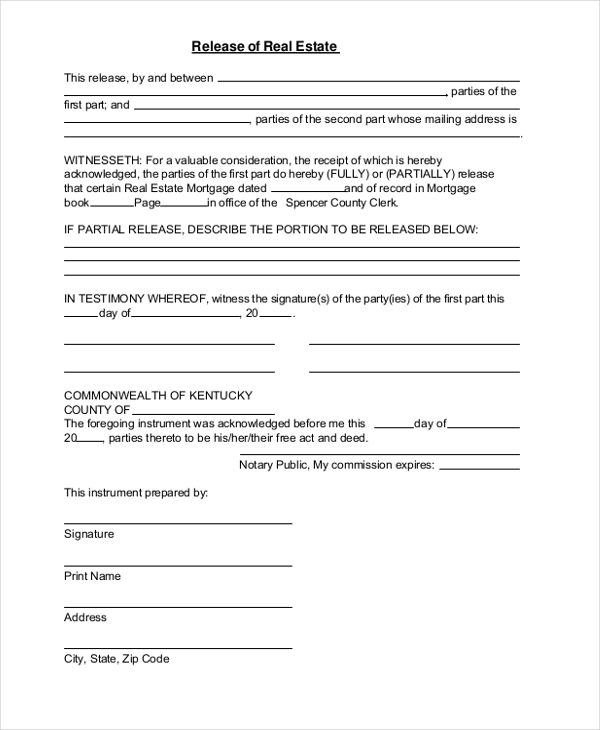 This form is usually used by a financial institution that may have agreed to loan out an amount to a person by mortgaging his real estate property. The form elaborates on the terms of mortgage and amount of money released. This is a generalized version of a release form. This contains all the important segments that should be part of such a form along with the format to be followed. The user can use this form by making required changes to it. 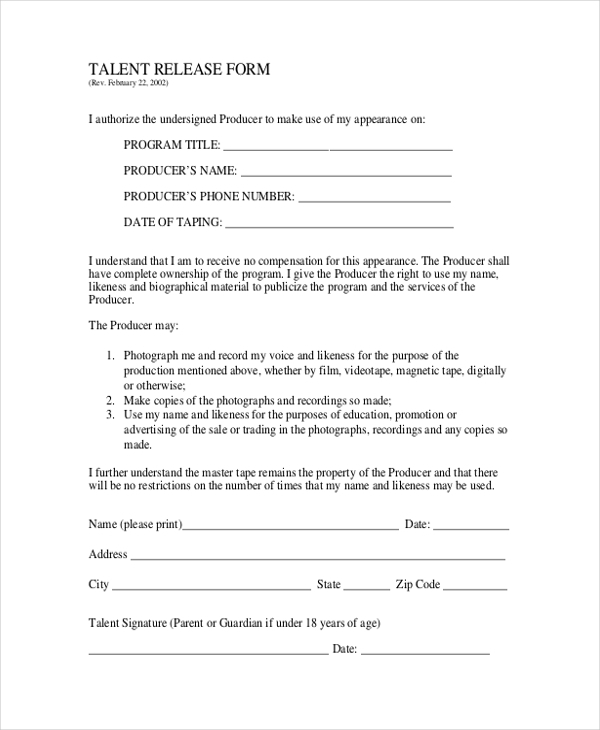 Any person who may have appeared on a television program or talent hunt show is required to sign this form to allow the producers to use his/her clippings in the program when it is aired. A person may be required to sign this form to allow a videographer or filmmaker to use his video in their program. 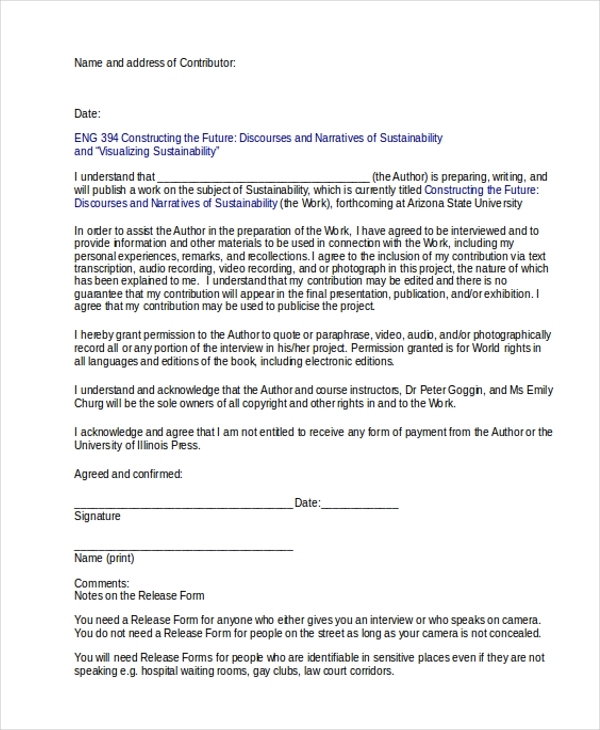 By signing this form, the person grants permission for his video to be used. 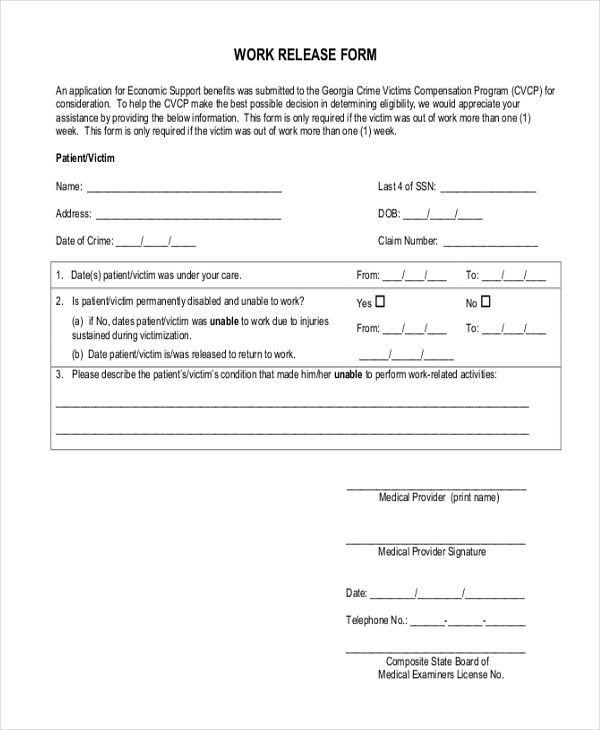 This form usually comes in handy when an employee of a company falls seriously ill or meets with a serious accident. The form helps him/her to secure a written statement from a doctor which in turn can be used to apply for leave from the company. 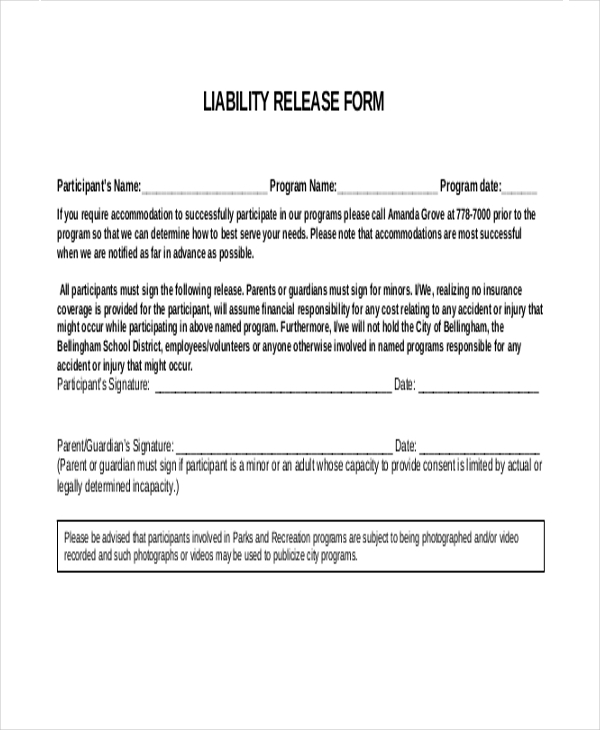 This is a liability waiver form that a person is required to sign before participating in an event. 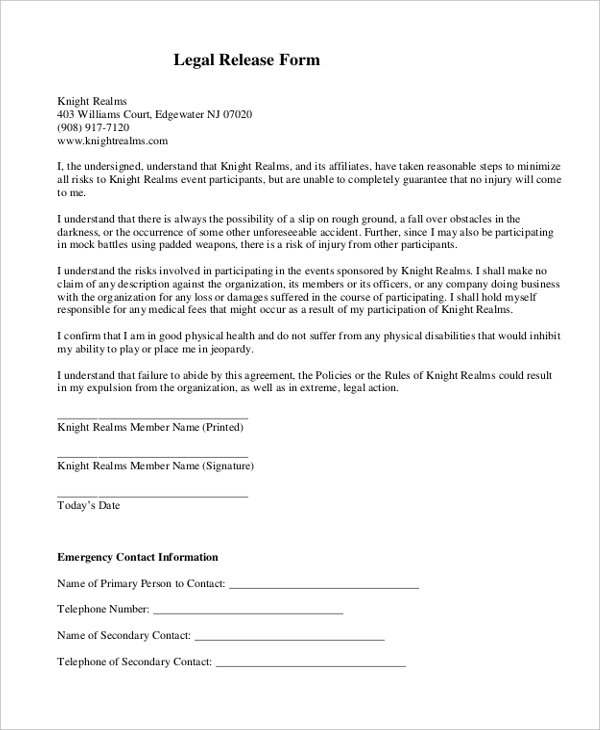 By signing this form, he agrees that he is aware of the risks that he may have to face during the event. 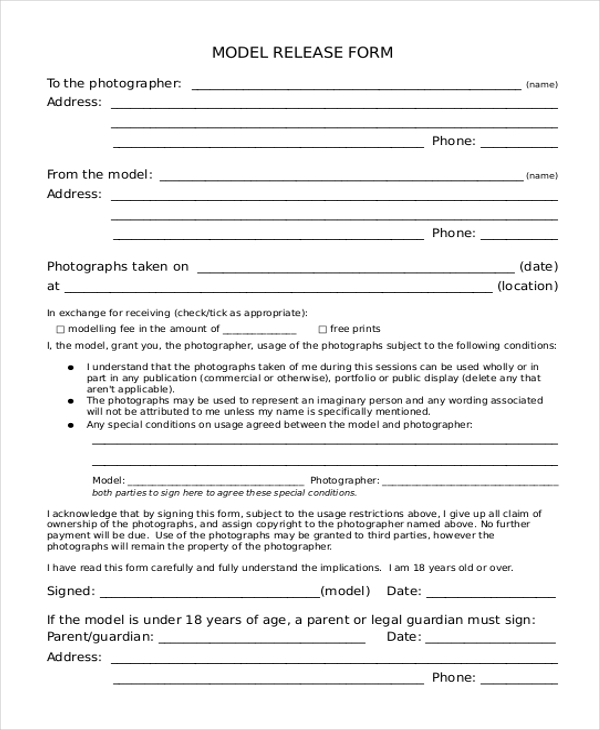 A fashion photographer gets this form signed by a model to gain permission from her to use her photographs in various assignments. The form, however, has certain terms that both the parties are required to follow. 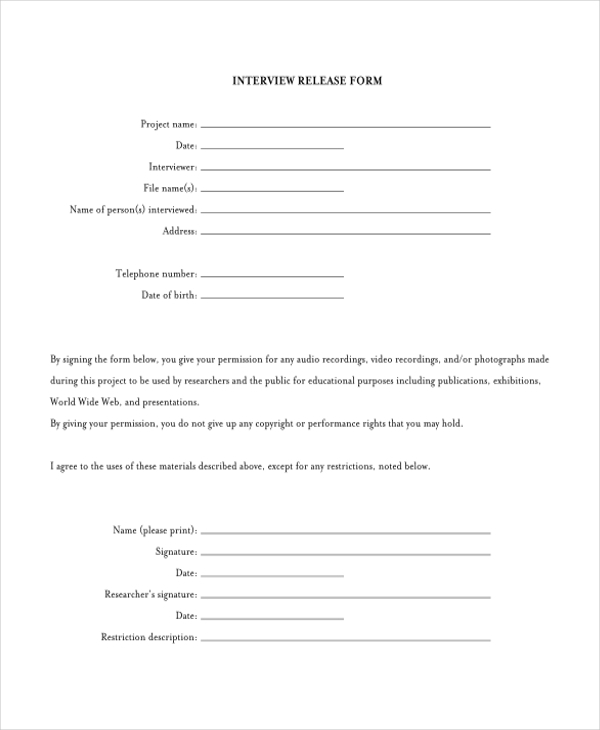 This form is used by an interviewer to gain permission from a candidate to record the interview and then use it in different programs or occasions. The terms of this release are spelled out in the form. Any person or organization that does not want to be held liable for the release of confidential information or use of certain information should use release forms to avoid any kind of legal hassles. What are the Benefits of Using Release Forms? Don’t know how to design a release form for your organization? Fret not! We have an impressive collection of release forms and you are sure to find the one that suits your requirements. These forms can be easily downloaded. Available in both MS Word and PDF formats you can make changes to these forms as per your needs and then print them.